A twin birth plan is basically an outline of your expectations and wishes for your ideal labor and delivery. 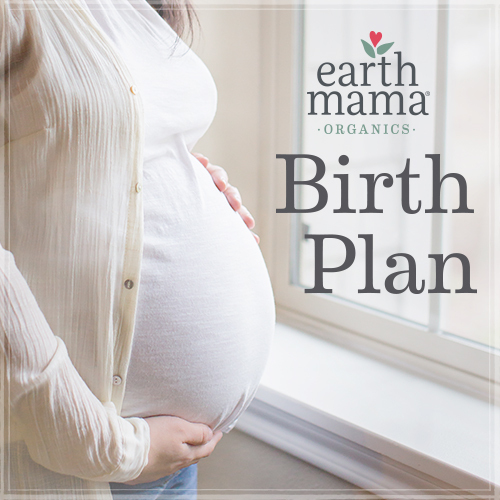 Written birth plans are very common and help doctors, nurses, midwives, etc. in understanding your particular desires and requests during labor and delivery of your twins. Because a twin birth will have to take much more into consideration than a single birth would, it is a great way to prepare. And because most twins arrive early, you should definitely start thinking about your plan well be for your expected due date. Even if you don't intend to actually write down a birth plan, you should still thoroughly discuss the birth of your twins with your doctor, midwife, or partner (our list of questions will really help with this!). Below are several sample questions you will want to take some time think about when preparing an official twin birth plan or when discussing a twin birth plan with your doctor, midwife, or partner. Of course you can always modify and/or add your own to make it even more personalized. Most women simply type or hand write a list and then make copies for all of the pertinent people/staff who will be involved with their twin birth. This is simple and easy to do and could make all the difference in your experience of one of the most important days of your life - the birth of your TWINS! What type of atmosphere will make you most comfortable? i.e. dimmed lights, music, few interruptions, etc. Will you still be able to deliver vaginally with one twin in a breech or transverse position? What is your doctor's view on C-sections and when to perform one? How long will your doctor or midwife allow your twin pregnancy to progress before recommending induction or C-section? 38 weeks, 40 weeks, and why? Where would you like to deliver your twins? The operating room, Birth Center, home, or birthing pool? Who would you like to be present during the birth of your twins? How many staff or other personal should you expect? Do you plan on having an epidural or pain medication or do you prefer to avoid them? What is your doctor or midwife's policy on IV's and electronic monitoring? Do you want to be able to move freely? How do you feel about the use of forceps, vacuum or suction, or having an episiotomy? Do you plan on cord blood banking? Who will cut the cords? After birth, will your twins be able to remain with you in your hospital room? Will they be able to co-sleep together? What is the hospital's policy on this? What if your twins need to spend time in the NICU? What are the hospital's or pediatrician's policies for release? What level NICU does your particular hospital have? Do you plan on breastfeeding? Does the hospital offer the use of a breast pump or lactation specialist if need be? The above questions are just some of the more common issues to contemplate. You need to establish a birth plan that works for YOU. Most importantly, with a twin delivery, you may not be able to determine exactly how things will go. Due to higher risk factors, certain procedures or precautions may need to be implemented for the well-being of mother and babies. Try to remain flexible, go with your instincts, and always ask a qualified healthcare professional about any questions or concerns you have. There is a great organization called Marvelous Multiples that offers educational resources geared specifically toward multiple births.